WOTOFO THE TROLL RTA Atomizer, is a 5ml huge capacity rebuildable tank with a single coil build deck. Together with top filling, UNIQUE One post design, Peek insulator made in Germany. THE TROLL RTA BY Wotofo is a top airflow rebuildable tank features 5ml ejuice capacity with a single coil build deck. TROLL RTA updated the size of diameter to 24mm, and comes with various features such as top filling, unigue One post design, peek insulator made in germany, dual coil flavor style, WOTOFO TROLL RTA Atomizer is easy to compatible with most 510 Thread e-cigarettes box mod and not easy to leak, it will always give you large vapor experience. 6. Remove the top filling cap, filling the e-juice into your tank and waiting for 30 seconds, and then enjoy your vape. Great flavor and no dry hits at all, good service as well. 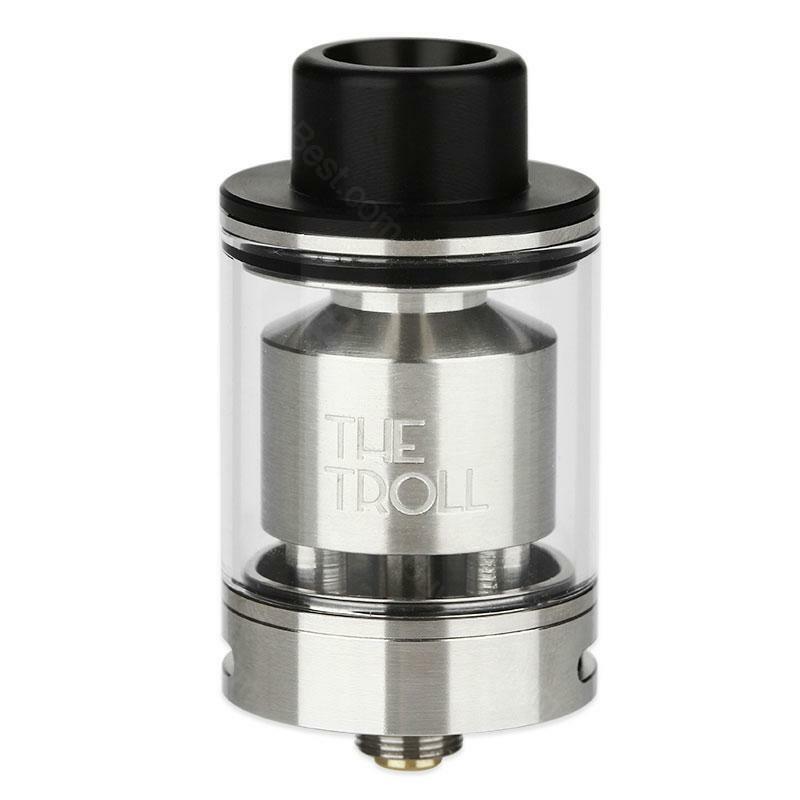 The troll rta works really great, but it took you some time for the wicking. I love this wotofo the troll rta, especially the easy building deck, 5ml big juice capacity.